Cornelia Sorabji honored on her 151st birthday in a google doodle. Cornelia Sorabji was the first woman who studied law at the Oxford University and was also the first woman to practice law in India and England. New Delhi: Through Google's doodles we often chance upon figures from history who find a mention somewhere in history books and then are buried beneath heaps of other information. These doodles introduce us to personalities who changed the course of history and made significant contributions to humankind. Today's google doodle celebrates the 151st birthday of Cornelia Sorabji. Cornelia Sorabji was the first woman who studied law at the Oxford University and was also the first woman to practice law in India and England. Cornelia Sorbaji was admitted to Oxford at a time when women were allowed to attend classes, take exams and gain honours in those exams but were not allowed to receive a degree. It was only in 1920 that women were allowed full membership of the University which allowed them to receive a degree. Here we present to you some lesser known aspects of Cornelia Sorabji's life as a student. Cornelia Sorabji went to England to study medicine but switched to law because she wanted to help women who were confined to the house and were being robbed of their property rights. At Oxford, she was also constantly heckled by older women who wanted to convert her to Christianity and upon learning that she was already a chirstian they would exclaim that she looked 'so very heathen'. When she was to sit for the Bachelor of Civil Law exams, the London examiner refused to examine a woman and it was proposed that she would sit the exam alone at her college in the supervision of a warden. Fearing that when women are finally allowed to receive a degree she might not get one because she did not sit for her exam with the men in the schools, she fought to sit the exam in London and won. Women, though, were allowed to take the law exam following in the footsteps of Cornelia Sorabji, they were not called to the bar until 1919 and Cornelia Sorabji had to wait until 1923, when she again visited England. 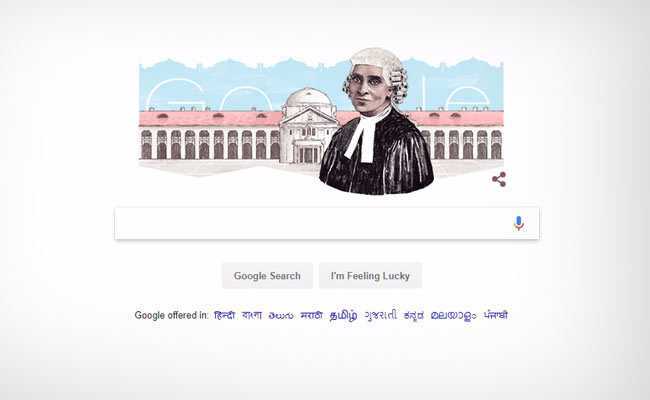 Today's google doodle celebrates the 151st birthday of Cornelia Sorabji, the first woman who studied law at the Oxford University. Last year, on Cornelia Sorabji's 150th birth anniversary, Somerville College, Oxford University launched Cornelia Sorabji Scholarship in Law. 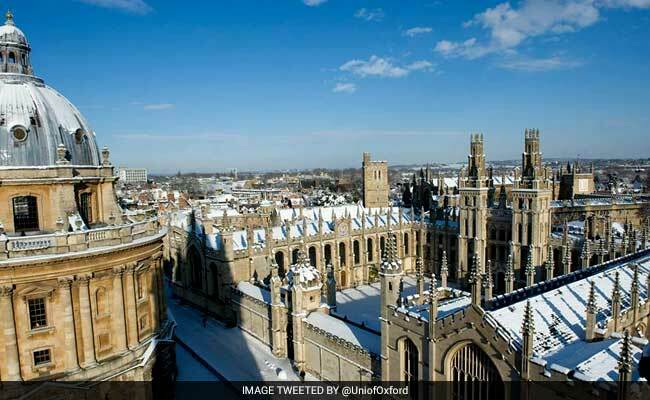 The Cornelia Sorabji Law Programme is based at the Oxford India Centre for Sustainable Development, which provides a postgraduate and postdoctoral programme for talented Indian graduate students who seek to lead change on their return to India. The first recipient of the scholarship was Divya Sharma from Chandigarh India.